Posted April 30th, 2017 by Mike Boyes & filed under Child Development, Consciousness, Families and Peers, Human Development, Intervention: Children and Adolescents, Stress, Stress Coping - Health, Student Success. Description: If you are an undergraduate student you hopefully have strategies in place that work to help you reduce stress and anxiety as big exams or presentations loom. So what advice would you offer to the parents of high school students about ways the parents can help their children not only manage anxiety but learn strategies that they can take with them into post-secondary life endeavors? Once you have thought about what advice you have to offer, or perhaps what sort of advice you could use, have a look at the article linked below to see some possibilities. 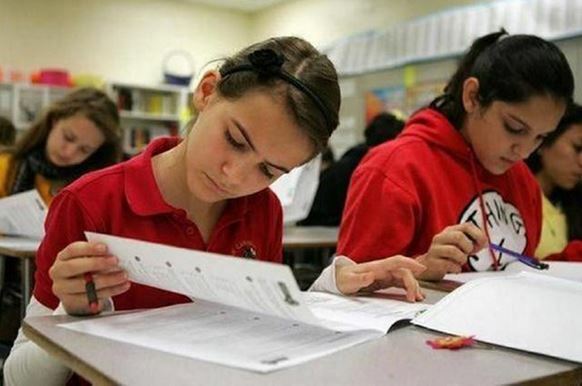 Source: Want to help your kid ace the big tests? Make ‘em laugh, Kyra Gurney, Seattle Times. So how did your suggestions match up with those offered in the article? Did you learn anything new? The one thing to think further about if you are going to offer advice to others and especially if you are going to offer advice based on what psychological research suggests are good things to do is to notice that while there is research hinted at in the linked article there is none described. Passing along that sort of advice as “things you or your teenager could try to see if they help” is one thing but if you were going to write an article for a parenting magazine or if you were going to go and speak to high school students and/or their parents on this matter you would want to have a look at some of the research data yourself before formulating and delivering the talk (hopefully as the author of the linked article did). That extra step of actually scoping out the research foundations for advice is one of the more important differences between taking the scientific foundations of psychology seriously and just offering advice off the top of your head, or based solely on your own experience, or after a brief internet search. Sometimes that is good enough but not always and know the difference and knowing how to take the extra steps are important parts of how psychology can benefit you going forward in your career and life paths. What sorts of things CAN parents do to avoid or reduce exam anxiety in their teen-aged children? Pick one or two of the things your noted in response to the question above and explain why (from a psychological perspective) they might help. What sorts of things should/would you do if you were asked to speak to the challenges of test anxiety for high school students to a high school class or to a group of parents of high school students?